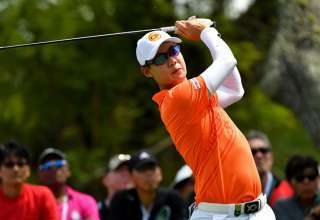 SINGAPORE- Yuta Ikeda of Japan pictured during the Pro-Am Tournament on Wednesday January 27, 2016, ahead of The SMBC Singapore Open at the Sentosa Golf Club, Serapong Course, Singapore. The US$ 1 Million event is co-sanctioned between the Asian Tour and Japan Golf Tour Organization, January 28 - 31, 2016. Picture by Khalid Redza / Lagardre Sports. 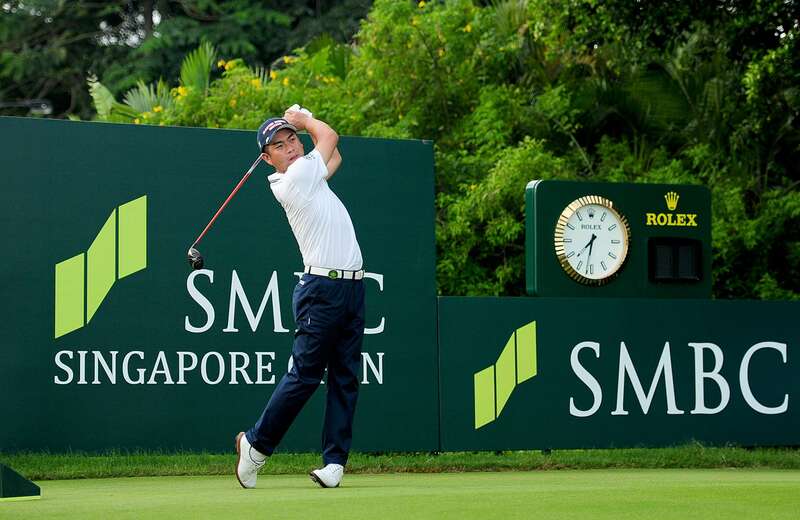 Japan’s Yuta Ikeda, who finished 2016 in quite brilliant fashion with two wins and six runner-up finishes in a 12-week stretch, will be looking to carry his hot form into the New Year at the star-studded SMBC Singapore Open. 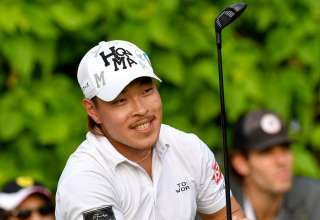 Ikeda rocketed to world number 33 and topped the Japan Golf Tour Organisation’s (JGTO) Order of Merit thanks to victories at the Honma TourWorld Cup and Casio World Open along with half a dozen second places. The 31-year-old Japan Tour number one also won the Panasonic Open in April and posted four other top-10 finishes in a sensational 2016. 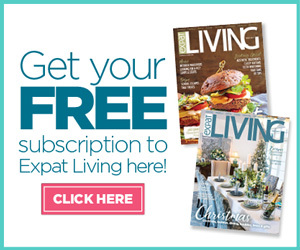 He will be itching to take on Major winners Adam Scott and Ernie Els, popular Spaniard Sergio Garcia and top players from the Asian Tour on the Serapong Course at Sentosa Golf Club from January 19 to 22. 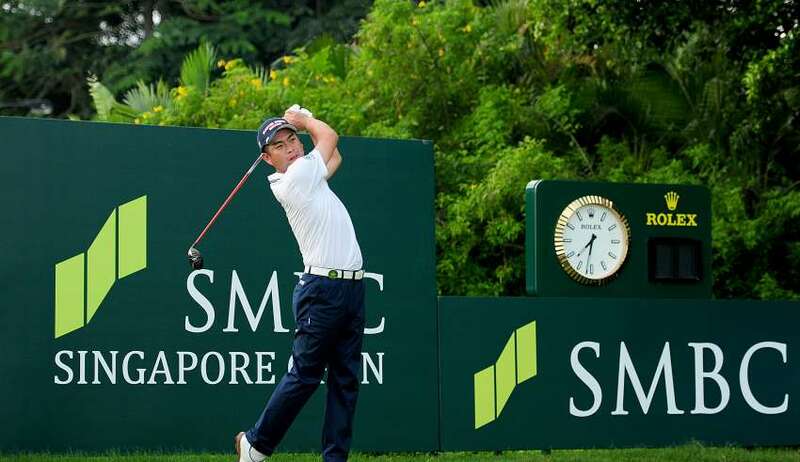 The 51st edition of the storied SMBC Singapore Open will be jointly sanctioned by the Asian Tour and JGTO, with Ikeda heading a strong contingent from the Japanese circuit. Hideto Tanihara, K.T. Kim and Younghan Song, the defending SMBC Singapore Open champion, finished second, third and fourth respectively in the moneylist and picked up seven titles between them. 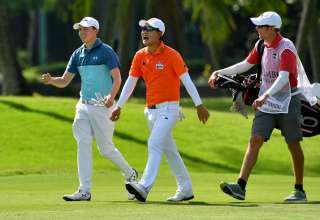 Tanihara and Kim matched Ikeda’s three victories while Korea’s Song triumphed over then world number one Jordan Spieth of the United States at last year’s SMBC Singapore Open. Song is hoping to be in tune for the defence of his crown. “I tend to enjoy new situations. When I turned professional and participated in my first tournament, I tried to just enjoy the moment. Having won the SMBC Singapore Open it will allow me to start the new season as a defending champion and I think it will put me in a great frame of mind,” he said. Ikeda, whose current world ranking of 33 equals his lifetime’s best, was amongst the top 10 performers in the last six months of 2016 – picking up 115.8 ranking points. He has won 16 times on the Japan Tour and pocketed more than US$8 million in prize money. 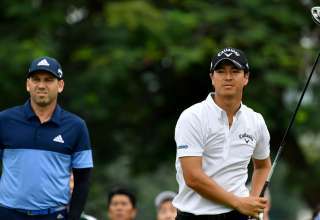 The Japanese hotshot was 23rd in last year’s SMBC Singapore Open, 10 shots adrift of Song, while countryman Tanihara claimed sixth spot. Shintaro Kobayashi, who was the leading Japanese in fourth place, will also compete in this year’s tournament which offers a prize purse of US$1 million.